Wednesday, April 6, 2016 – 3 p.m.
Thursday, April 7, 2016 – 8 a.m. NOTE: There is very limited parking at 4000 Jackson Avenue. 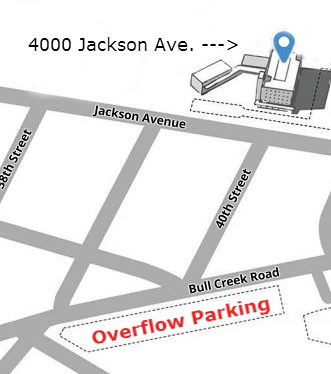 Please use the overflow parking lot on Bull Creek Road as indicated on the map.